Brio Residences – 263 contemporary stylish serviced apartments, atop Paradigm JB Mall, one of the largest and stylish malls in JB, modeled and managed by the operator of successful Paradigm Mall in PJ, KL. Located along Skudai highway at the former Kemayan Mall site, and sit on top the the up and coming Paradigm JB Mall. It is beside IOI’s The Platino apartments which is under construction and is just 3 km to famous Sutera Mall and 8 km to Aeon Bukit Indah. 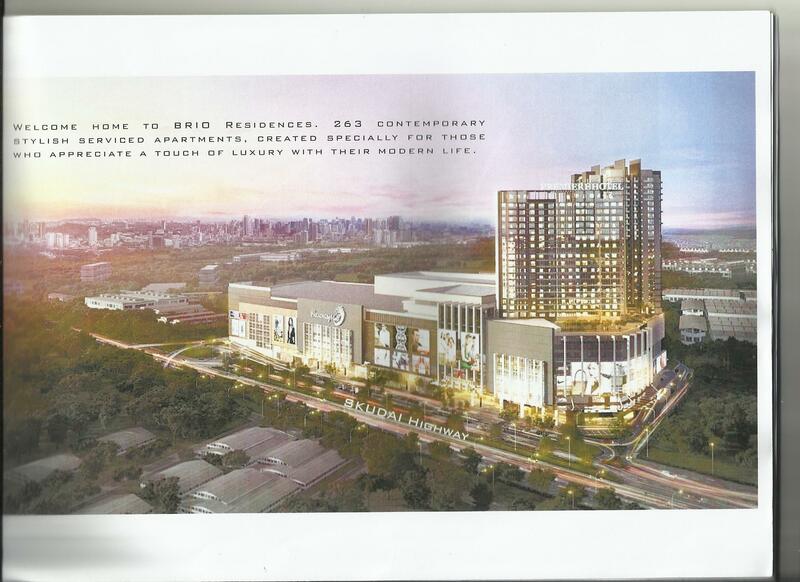 Most exclusive to Brio Residences is having 1.3 million sq ft of shopping spaces, ice skating rink, cineplex, supermarket, premium outlets and restaurants modeled after Paradigm Mall in JB, right below your door steps…. Affordable pricing from rm450,000 and foreigners are approved to purchase from RM500,000 as the licensing permit was obtained before the 1 million mark was implemented. This entry was posted in New Properties for Sale and tagged Brio Residences, Paradigm Mall JB. Bookmark the permalink. This blog is about the rapid developments in Iskandar Malaysia for residential, commercial and industrial buyers and investors to receive updated information. Helps you to make discerning decisions about allocating partial assets into this Iskandar region for good appreciation in the years to come. Do contact me for any enquiries. Upbeat over 2018 propspects in Iskandar?